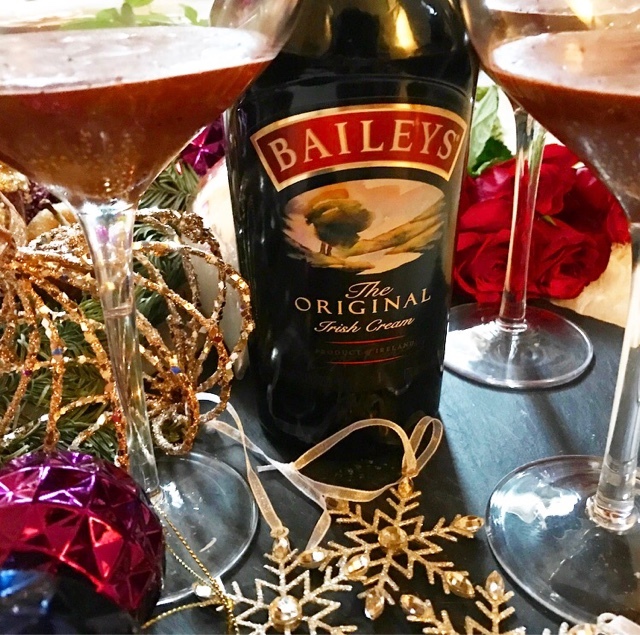 With Christmas now come and gone bellies full of turkey, grandad snoring in the corner on his favourite chair and the adults craving a sweet treat I've got the perfect indulgent Boozy Baileys Chocolate Mousse that takes no time whip up! 20 minutes in fact! Now if I am honest I'm not a major fan of the drink, to creamy for me it's just the texture, just like bananas, makes me sick, BUT a big BUT you create something so beautiful and magical with them, then I happily guzzle it up. 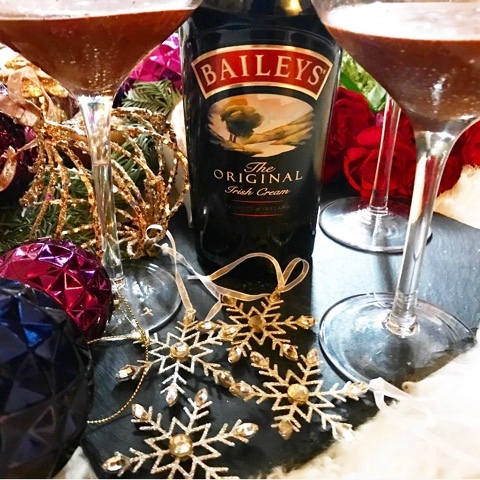 My mother is a big Baileys fan and being that I'm having guests in and out of the house over the festive period right through to New Years, I thought I'd make a little treat for them and I that we can all enjoy and have as our afters, or if I know you guys, a checky desert in the day. Kids too can enjoy this, but you make their batch WITHOUT the baileys! Break up the chocolate and put it into a large bowl that will fit over a pan of simmering water. Mix the cocoa, Baileys and vanilla with 2 tbsp cold water, and pour over the chocolate. Place the bowl over the gently simmering water, give it all a stir, then remove from the heat. Leave with the bowl of chocolate still over the water, stirring occasionally to check when melted. Stir the melted chocolate, it will be quite thick but do not worry. Stir in 2 tbsp boiling water and the chocolate will immediately become silky smooth. Leave to cool slightly. Whisk the egg whites to fairly soft peaks ( iahd to google what it would like lol! then whisked like a mad woman), whisk in the icing sugar until thick and glossy. Beat the yogurt into the cooled chocolate. Fold about one-third of the egg whites into the chocolate mix using a large metal spoon, then very gently fold in the rest of the whites until they are evenly mixed in.. Spoon into 4 champagne glasses or small cups and chill for a couple of hours, or overnight. Top with a few raspberries, then dust with a little cocoa powder. Will keep for up to 2 days in the fridge.